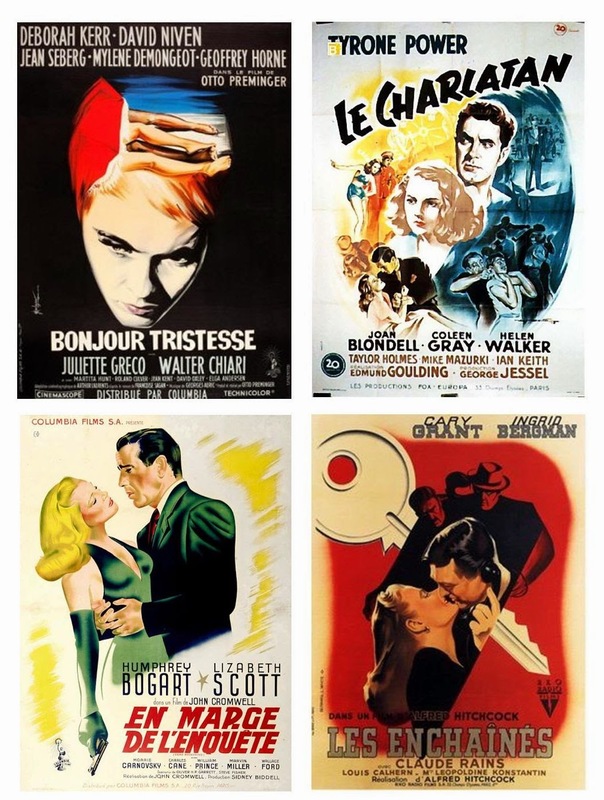 I love the posters of France, Italy, Spain, Germany and other countries of Western and Eastern Europe that were created for movies made during Hollywood's golden years. 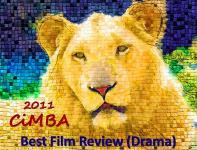 This tiny ‘gallery’ contains some of my favorites, all of them evocative and most as exciting as the films they publicize. 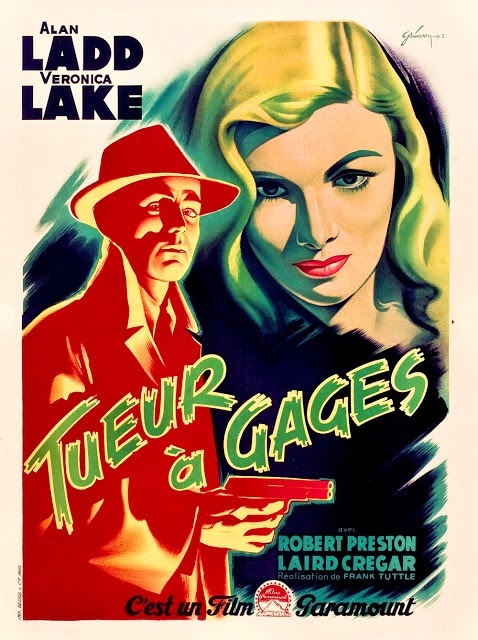 Poster art for Out of the Past without a trace of Jane Greer's face or figure is rare, indeed. 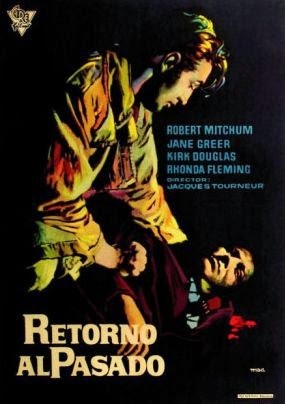 But this atmospheric image of Mitchum in his trench coat kneeling over Steve Brodie in a pool of blood makes a powerful and lasting impression. 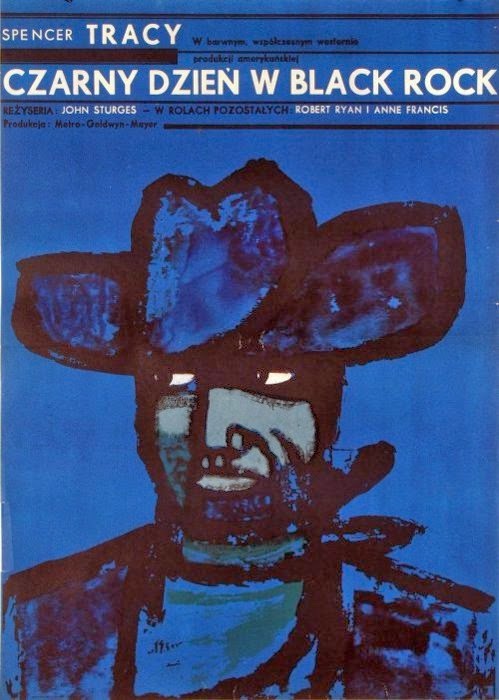 'Czarny dzien w Black Rock' translates to 'black day at Black Rock' and this deep blue and black poster art from Poland suggests the lurking malevolence that greets Spencer Tracy when he arrives in the dusty and desolate little western town. 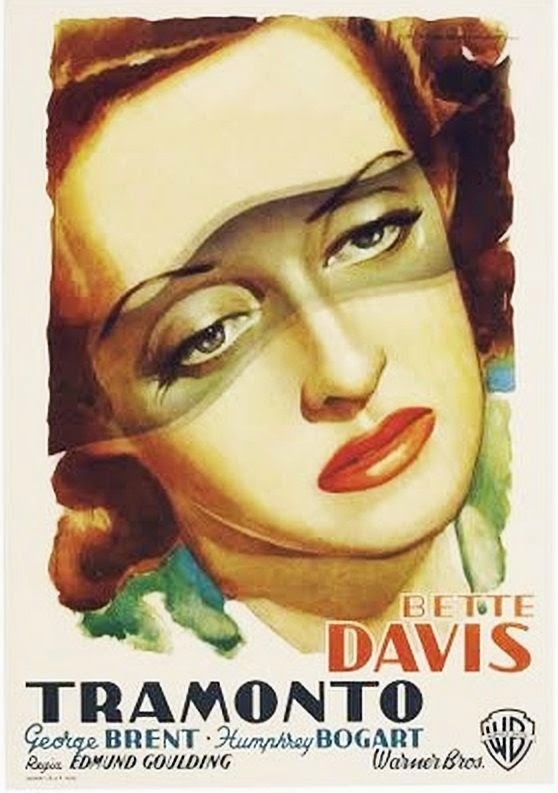 'Tramonto' is Italian for 'sunset' and the shadow sweeping across Bette Davis's eyes in this Italian poster is an allusion to Judith Traherne's soon-to-come blindness - and death. This gorgeous poster is the work of Boris Grinsson - a master of classic poster art. Obviously. Four more from France, clockwise from top left: Bonjour Tristesse (1958), Nightmare Alley (1947), Bernard Lancy's Notorious (1946) and Dead Reckoning (1947). 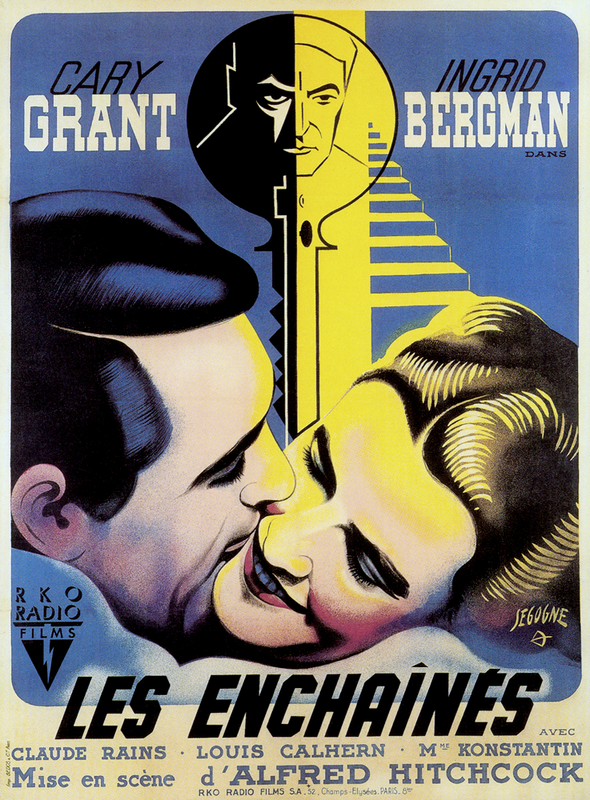 Click here for a two part series on French posters for American crime and noir films. Click here to visit the Museum of Movie Posters. These are gorgeous! I love foreign poster art (most of it, anyway). Always leaning a bit towards the melodramatic in their visuals. In my youth I used to collect movie posters for the artwork. I've since whittled my collection down to a Polish "Rosemary's Baby" which is weirdness personified. My favorite of your collection is the Breakfast at Tiffany's" ...those colors! Hi Ken, great to hear from you. I posted a link to this piece on my Facebook page and a friend commented: "Why are the Polish posters always so weird?" My reply: "The eternal question." I'm partial to French poster art but have had an eye on the Italian poster for "The Rains Came" for a long time. Unfortunately, I've only found it for sale online for something like 1,400 euros. I love the German interpretation of Holly's signature "kooky-ness." Magnifique! I love poster art and it is always so interesting to see how the rest of world sees us. I agree the Breakfast at Tiffany's poster is so alluring. But please give my poor Norma a break!!!! Seriously, a beautiful post. I love the Tiffany poster too. The first thing to strike me was the eyebrows which for some reason just stood out. Definitely darker and probably more in line with the Caputo novella than the film. All your choices are superb. Enjoyed! Thanks, John. 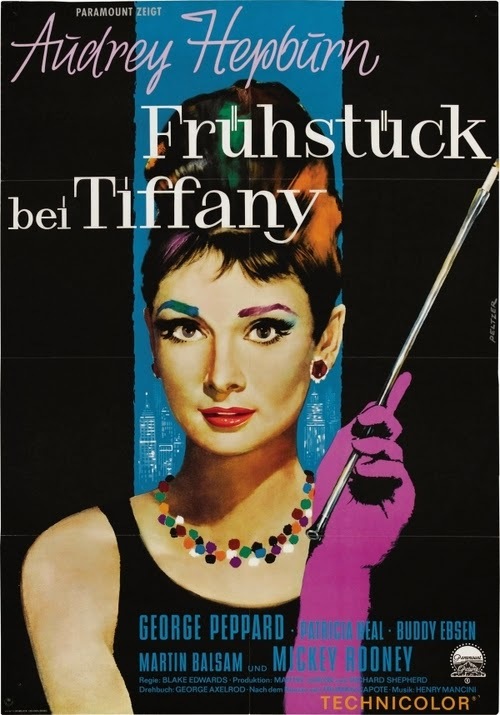 Though it's tone is quite different from the novella's, I don't think the film version of "Breakfast at Tiffany's" is as lighthearted as American poster art and promotional stills imply. While the movie version of Holly does have her "madcap" side (or at least puts on a good show), she really is a bit of a lost soul - 'til that happy ending. Great post Lady Eve. Movie posters with original art are so evocative. I think the European posters carried on that traditon several years after we had moved almost exclusively to photographic posters.. In any event yours is a great selection and the Polish one is especially wonderful. 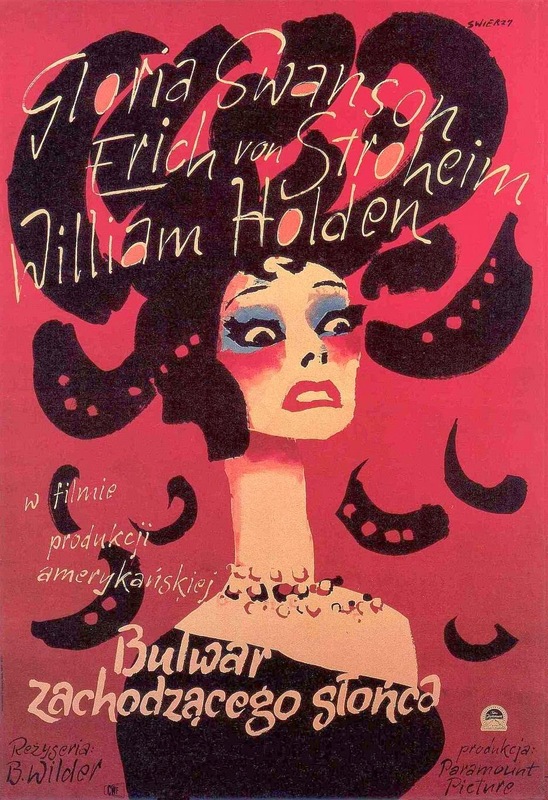 Christian, I'm not sure which of the Polish posters you're partial to - both are striking and interesting. And different. The poster art from the European countries where the romance languages are spoken seems more melodramatic and (naturally?) romantic than that from other areas. I would like to put in my bid to purchase the poster for Dark Victory (I mean, Tramonto). I can go up to $6.78 with my present budget. Think I have a chance? These posters are fascinating, and I really enjoyed having the opportunity to see them. Good stuff, Eve! Becky, Have you priced it online? 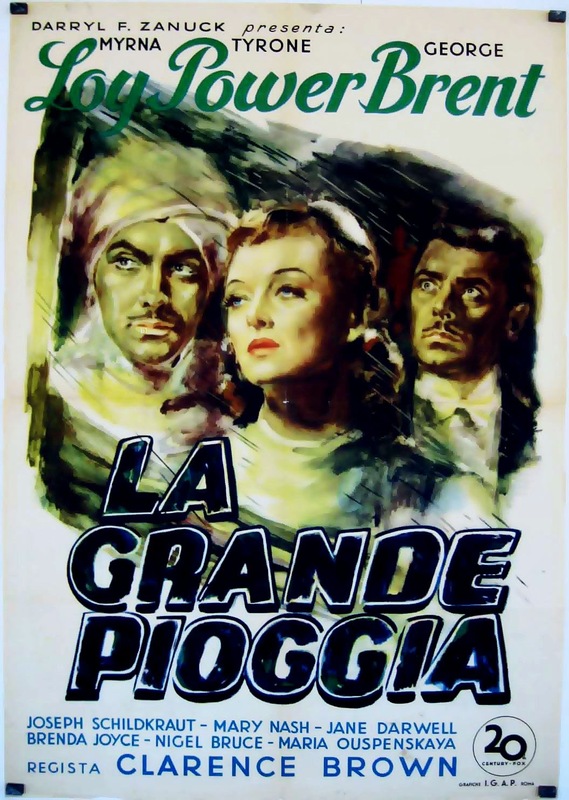 When I first saw the "La Grande Pioggia" poster I thought I might splurge and buy it and frame it - until I saw the price. Good luck! Gorgeous posters! I love Audrey Hepburn's poster of Breakfast at Tiffany's the most, probably because It's one of my favorite movies. The splash of colors is truly a delight for the eyes. That collection is just so glamorous. I just hope the physical prints can be preserved, so that future generations can appreciate the glamour of old Hollywood! "Breakfast at Tiffany's" is one of my favorite movies, too, Ruby.